Do You Need a Roofer to Fix your Ponding? HomePonding Water 101Ponding Water 101Do You Need a Roofer to Fix your Ponding? Flat roofs by definition are not going to drain as well as slanted roofs. However, this does not mean you should allow water to accumulate or puddle on top of your roof. 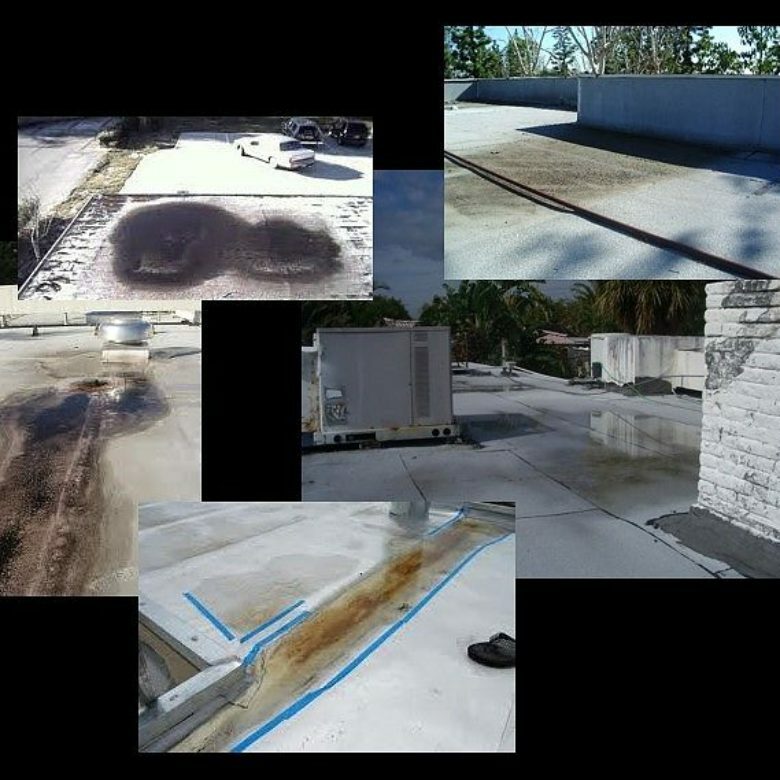 When ponding water on a flat roof starts to develop it is time to start weighing your options for repair before the problem becomes a whole lot worse. 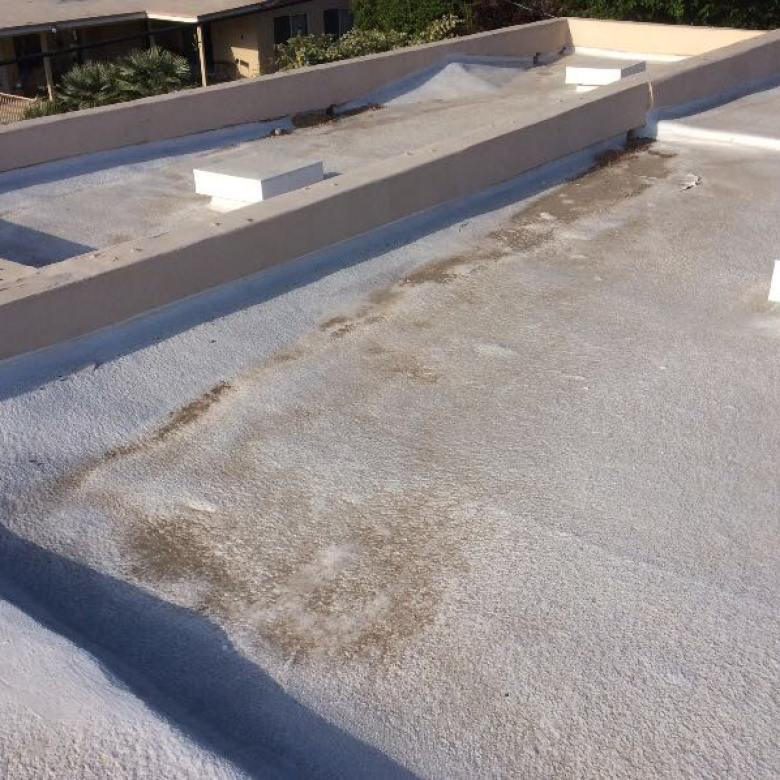 Turning a blind eye to this problem can lead to serious structural damage, leakage into your building, unsightly vegetation growth, and most of all it will reduce the life expectancy of your roof. So when you encounter this problem fix it. Luckily there is are a couple of easy solutions! There is a roofing product that evens out the spots where your roof dips/sags and ponds so that when there are heavy rains you don’t collect water on your roof. It is an easy to apply product for DIY people who would like to take care of their ponding issues on their own; and is an auxiliary sloping compound. 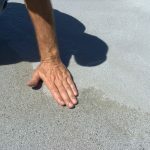 It dries quickly and only requires one application to correct drainage problems on your flat roof. It has the ability to be matched to the existing roof. You should make sure the product you choose is UV stable. Sitting in direct sunlight for hours, days, and years at a time should not reduce the effectiveness of the compound. 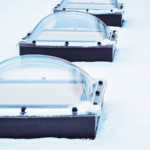 Another option for DIY roofers is to figure out where the low spots on your roof are. Once you understand how the water puddles on your roof, install a drain so that the water naturally comes off of your roof without having to do extensive repair work to your current roof. It just depends on the severity of the issue and how handy you are. Just because there are some simple and effective roofing solutions to those who wish to do their own repairs does not mean that these solutions are going to be the best for everyone. 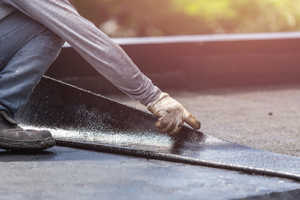 If you are not comfortable applying a compound or you’re not sure that you are going to be able to adequately fix your ponding issue on your own then do not hesitate to call in a roofing professional. Even those individuals who feel confident in their abilities to do their own repairs may want to consider professional guidance because when your flat roof starts to pond the problem could be a lot more serious to the structure than what initially meets the eye. If you notice water leaking into the structure from the roof, you’ll want to call in a professional roofing contractor even if it is just to assess how bad the damage really is. If you’re lucky the worst you’ll get is stained ceilings. Realistically, when water is leaking in from ponding on the roof you have to seriously worry about damage to your electrical systems, damaged furniture, and possessions inside the space in question, and serious carpet damage to name a few. Repairing all of these things could cost you thousands upon thousands of dollars if the damage is really bad. If ponding is the only issue you are facing, take care of the issue as soon as you possibly can. You have some DIY options but, if the ponding water has breached the roof and is leaking into your space, you will want to seek professional help and advice even if the problem looks manageable. The extent of the problem could be more than you can immediately see. 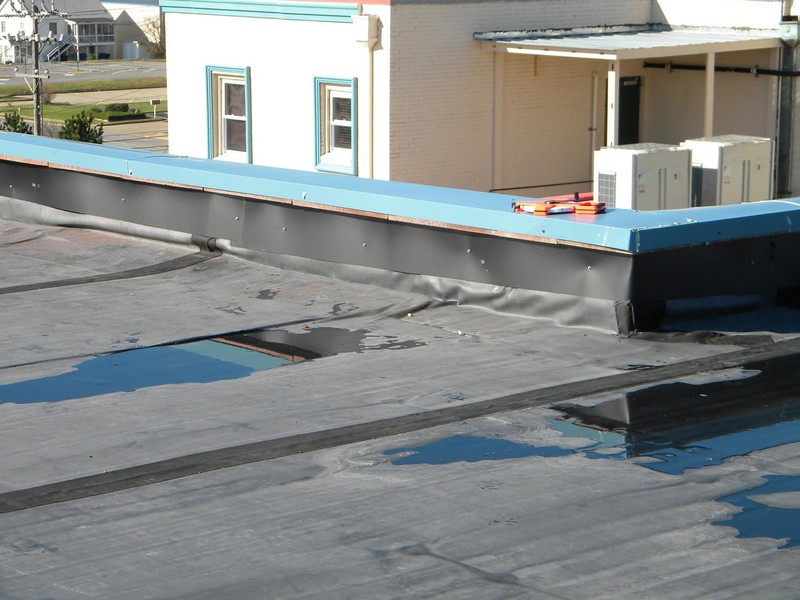 To use RoofSlope and learn more about how it could be the solution to your ponding issue visit our website or contact us.